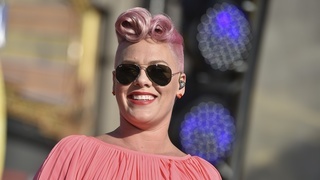 AUSTIN (KXAN) — P!NK and Imagine Dragons will take the stage headlining the 2019 Formula One US Grand Prix weekend, Circuit of the Americas announced Tuesday. P!NK and Imagine Dragons join a long list of past performers to highlight the Super Stage at COTA. Previous artists that performed during USGP weekend include Sir Elton John, Taylor Swift, Justin Timberlake, Bruno Mars and Britney Spears. P!NK, a 20-time Grammy nominated artist, will perform Saturday, Nov. 2. Imagine Dragons, a Grammy award-winning band, open the weekend, Friday, Nov. 1. “We’re thrilled to welcome P!NK and Imagine Dragons to the Super Stage for this year’s United States Grand Prix. COTA is proud to host such an exciting, non-stop weekend of entertainment, bringing together the best of racing, through Formula 1 USGP, and music in welcoming these internationally-renowned artists to the 'Live Music Capital of the World,” COTA Founder and Chairman Bobby Epstein. Three-day race tickets, which include access to both concerts, go on sale Tuesday, April 23 at 10 a.m. at www.thecircuit.com.